The boys in my little house on my little street love smoothies in the morning...but I am pretty sure they aren't as glamorous as some people's smoothies. 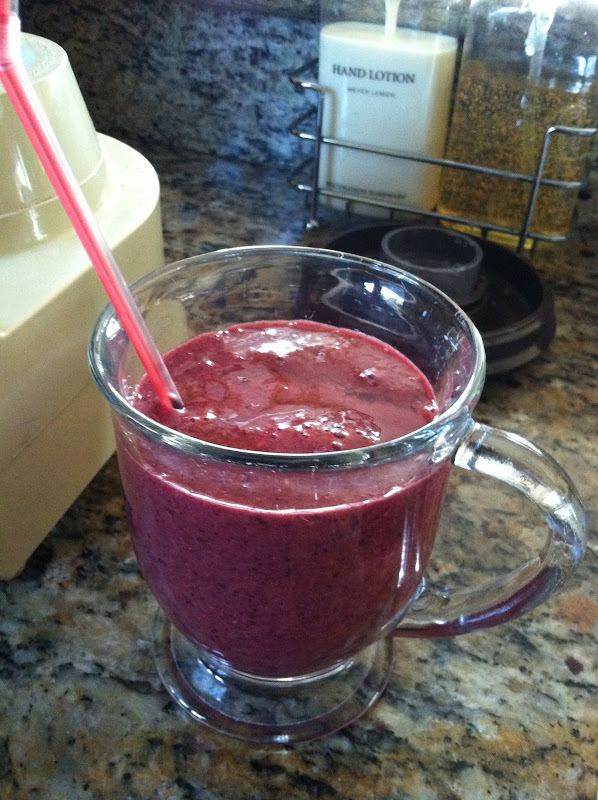 A splash of orange juice, a handful of frozen berries, half a banana and a few fresh berries blended all together. Nothing creamy in there, thankyouverymuch. As for me...I like my fruit whole much, much better. I'm kinda weird like that. But seriously, is there anything better than a really crisp, juicy apple? Yesterday morning was Bible Study and after a very brief 'wanna ditch and go to breakfast instead?' thought while in the parking lot (gotta love temptation....sigh) we went on in and it was fabulous. As always. And after? 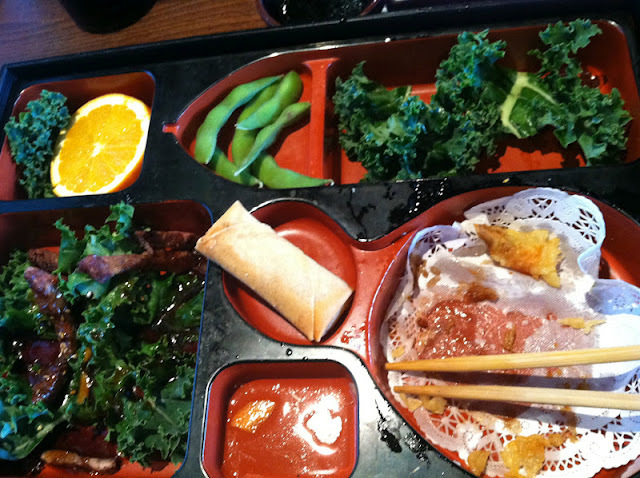 Bento boxes and girl therapy. My oldest got sick on tour...so sick that he couldn't travel home with the group and had to stay behind. Ugh. What is it with our family, Las Vegas and food poisoning? Poor thing. All is well and he'll soon be on a plane home. Weighing less. That guy that I like so much IS home (and off from work the rest of the week!) and I happily relinquished my spot in the middle of the bed and the cats are back to being banned...like they listen. Gotta love cats. Time to get our garden ready for Spring.